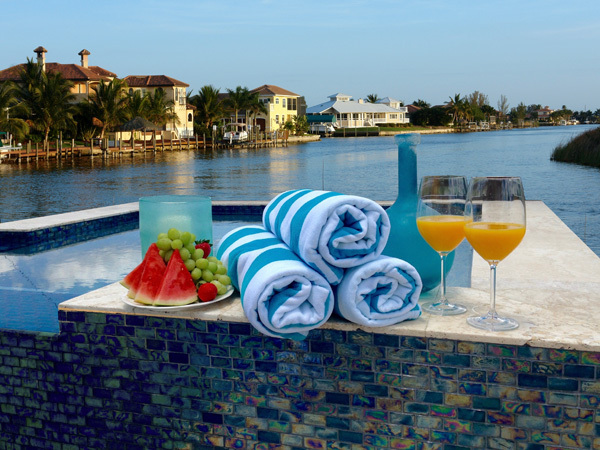 All vacation homes we offer are supervised by a professional, licensed on-site property manager in Cape Coral, Florida. If you have any questions during your stay, please feel free to contact us or the staff of the property management. The entire interior of our houses is designed by a team of designers, from ordering the furniture to the final decoration. These international design standards guarantee that our international customers feel comfortable. Provide a baby bed or high chair upon request. The day after your arrival: House briefing (hand over protocol), explanation of the technical devices in the kitchen, washing machine, dryer and air conditioning system etc.